I’m reminded of his words as I watch the Twitterati rend their garments and gnash their teeth as Oprah and Ashton lead their minions onto the platform, with seemingly hundreds of thousands of non-social-media-aware newcomers signing up each day. And sadly, the answer to that is “yes.” Many seemed to expect just that. But to paraphrase Ben-Gurion, Twitter will achieve a state of normalcy and be a “platform like any other” when tweeting receptionists share links to PerezHilton with tweeting manicurists. Twitter can—and should—be home to all sorts of communities: sports fans, fashion fans, gossip fans, plumbers, surgeons, new parents, neighbors, co-workers, friends: despite the proclamations of thousands of newly minted experts, ninjas and gurus, there is no right way to use Twitter. There’s only the way that evolves as more and more people use it. That becomes the “right” way. 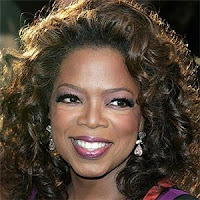 There’s also been much fear that Oprah and the Celebrity Tweeters are going to turn Twitter into a broadcast medium, as part of a counterattack by the Old Media Order, who, if you follow that logic train, are going to pull the iPhones out of our hands and replace them with day old copies of the Detroit Free Press. But that’s not going to happen and it’s pretty easy to see why: Broadcast Twitter is boring. Really, really boring. I mean it’s one thing to have Shaq’s observations pop up once or twice a day. But a stream comprised entirely of “eating carrot sticks with Gail” and “telling Demi those jeans don’t make her look fat” gets very old very quickly. And while I’m sure many (if not most) of the new Twitterers will only follow their celebrity superheroes at first, they’re not going to turn into power users. Seriously, few people are that pathetic as to sit there hitting “refresh” every five minutes in the vain hope that Oprah will have had something new to say. What we will have, in fits and starts, is a community that starts to resemble the real world more and more. People with different interests and backgrounds, some more serious, some less. Which should—gurus, ninjas, and sherpas take note—make Twitter a lot more attractive to advertisers.